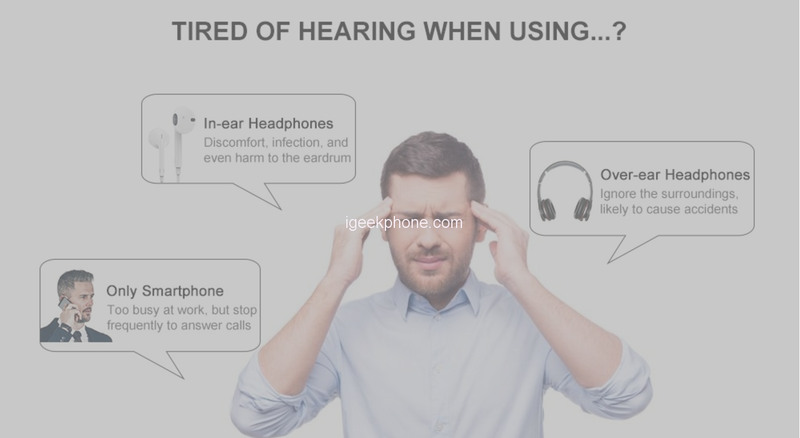 Tired of using in-ear, on-ear and over-ear headphones? Do you cut yourself from the surroundings and feel insecure on the road? Fortunately, we’ve got Bone Conduction Headphones. The ear-free headphones have seen increasing popularity in Japan and South Korea in recent years. Bypass the eardrum, funnel sound waves directly to the inner ear. Enjoy music with ears freely open to the world! The Alfawise J20 Bone Conduction Bluetooth 5.0 Headphones sports an ergonomic design making it easy to use, so you do not fall. The collar headphone is fabricated from ABS + titanium alloy which makes the headphones lighter and more durable! 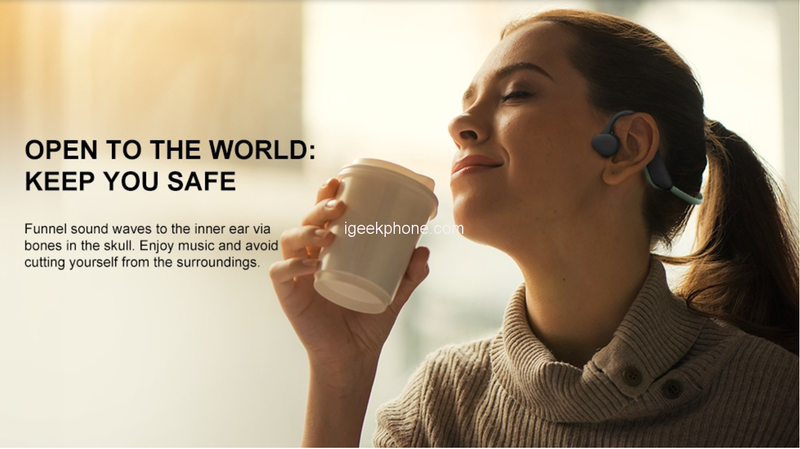 And with the headphones, you don’t have to be scared of rain, neither sweat as the device is IP56 waterproof, rainproof, lightweight, suitable for outdoor activities, such as running. It comes in gray and black color, so you decide the color you want to buy. The headphones weigh just 33grams, which means you can rock it all day without feeling something is on your ear. Speaking of battery, the Alfawise J20 Bone Conduction Bluetooth 5.0 Headphones features a 170mAh battery and is good for 5 to 6 hours of non stop music playback(standard volume) on a full charge for just 2hours via usb interface. It is embedded with the latest QCC3003 and V5.0 Bluetooth chip technologies enable GENSO wireless headsets to withstand cable disasters. The wireless connection distance for the headphone is metres and you can easily navigate music playback and other functionality via touch controls. Answer the call. State of the call. Click once on the multifunction button. End the call. State of the call. Click once on the multifunction button. Reject the call, press and hold the multifunction button for one second. Song change: Double-click the multi-function button twice. Volume Control: Click the volume button to decrease or increase the volume.